This is a special activity that gathers Guild members and their guests in a casual, social atmosphere. 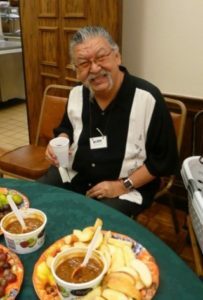 Arranged by the Hospitality Chair, everyone brings a dish of their choice to share. 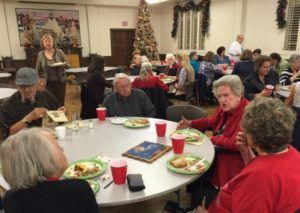 Typically, pot luck dinners are held at the on the first Thursday in June and the first Thursday in December from 6:30 to 9:00 p.m. in the Parish Hall of Christ Episcopal Church. Members are encouraged to bring and display original artwork they have done throughout the year in classes and workshops or on their own. Works in process are also welcomed!